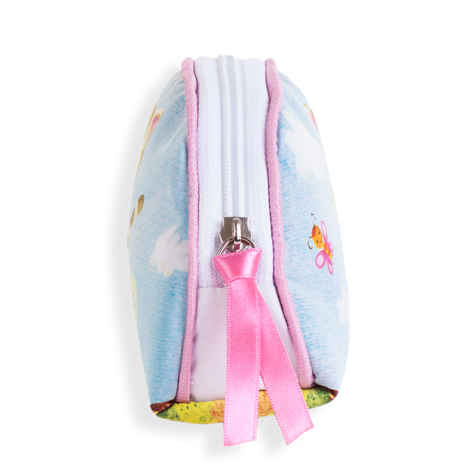 This makeup bag is large enough to hold all of your essentials for the day, yet small enough to throw in any purse or school bag to keep everything you need right at your fingertips! Inside there is a wipe clean black nylon lining and a NRA label. The makeup bag machine washable, and has a zip top. Categories: New	Bags. 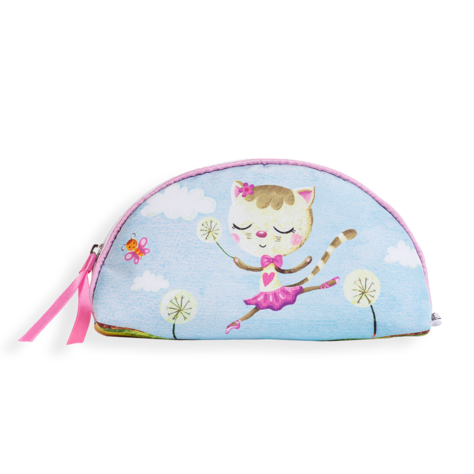 Categories: bags	ballet	cartoon	children	dance	dancing	danzarte	draw	pink	punch.